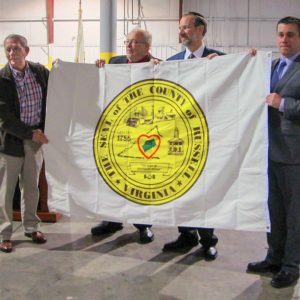 The Industrial Development Authority of Russell County Virginia is the primary organization responsible for economic and industrial development in our county. The IDA develops publicly owned local and regional industrial parks and collaborates with other economic development organizations to facilitate in the location or expansion of industry within the county. The IDA is composed of a nine-member board of directors appointed by the Russell County Board of Supervisors. To promote industry and develop economic trade by inducing manufacturing, industrial, governmental, nonprofit and commercial enterprises, and institutions of higher education to locate in or remain in Russell County, Virginia, to advance job opportunities, general prosperity and the economic welfare of our citizens. If you’re a company seeking to start-up, expand or relocate, then we want you to know about Russell County. In recent years, our location has become recognized as a prime spot for companies requiring high inland security and access to a world-class telecommunications network. We’ve attracted international companies, such as Northrop Grumman and CGI, into our borders and understand what businesses need to thrive. We also know how to deliver skilled workers and incentives that will facilitate and empower businesses. We invite you to browse our website to learn more about our available sites and distinctive quality of life in Russell County, Virginia. Contact us today to learn more about what the IDA can do for your company.